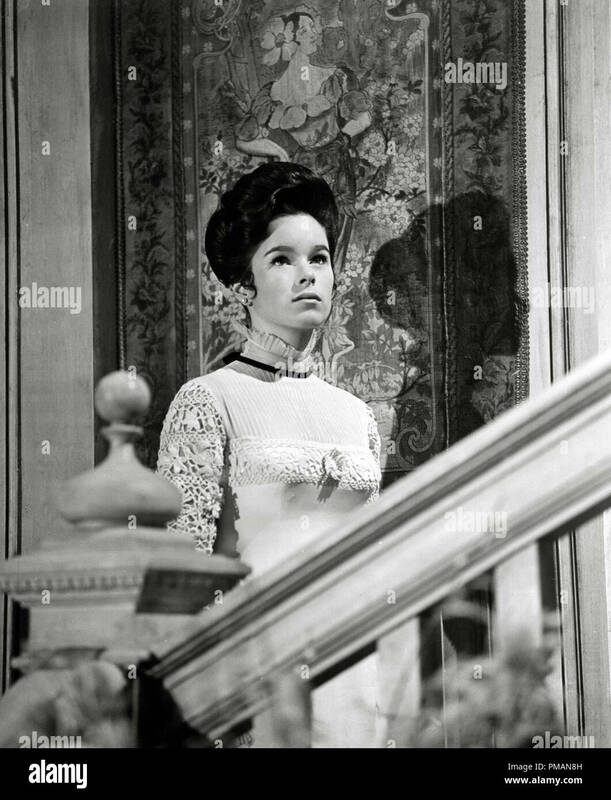 Geraldine Chaplin as Tonya in “Dr. Zhivago”. 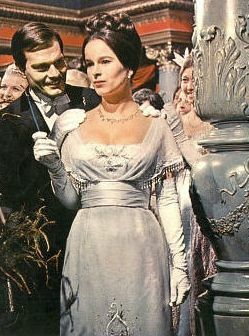 Phyllis Dalton received an Oscar in 1965 for best costume designer. But there is more to this story than that, as I recently found out. As I noted in 2008, the maxi style in general, got its start in popular culture with Doctor Zhivago in 1965. Set in pre-revolutionary Russia, costume designer Phyllis Dalton created “Cossack blouses with neckband collars and wide billowy sleeves, and coats trimmed with fur from head to toe; and the maxi, or ankle-length, skirt” (Halsey 1986, 595). The film was released theatrically on Dec 22, 1965. 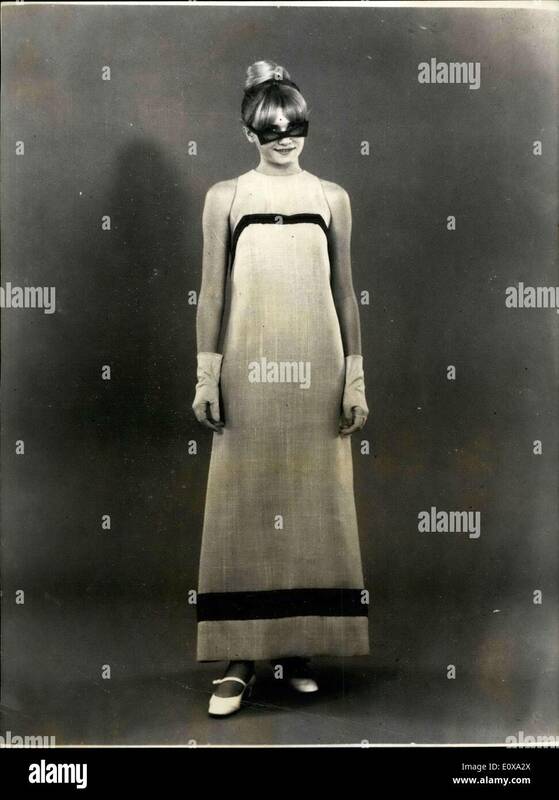 A short seven days later, on December 29, 1965, a little-known Parisian couturier named Jacques Syma photographed what might be considered an early version of a maxi dress as a part of his forthcoming spring collection. In March 1966, the Paris Spring collections appeared in Vogue magazine, and the cover showed Barbra Streisand in a floral print maxi. Inside, Paris showed off its Spring couture in a fashion feature photographed by Richard Avedon, and including many long dresses worn by models and actresses Jean Shrimpton, Marisa Berenson, Minnie Cushing, Françoise Rubartelli and Geraldine Chaplain (one of the stars of Doctor Zhivago) designed by Balmain, Lanvin, and Ricci. 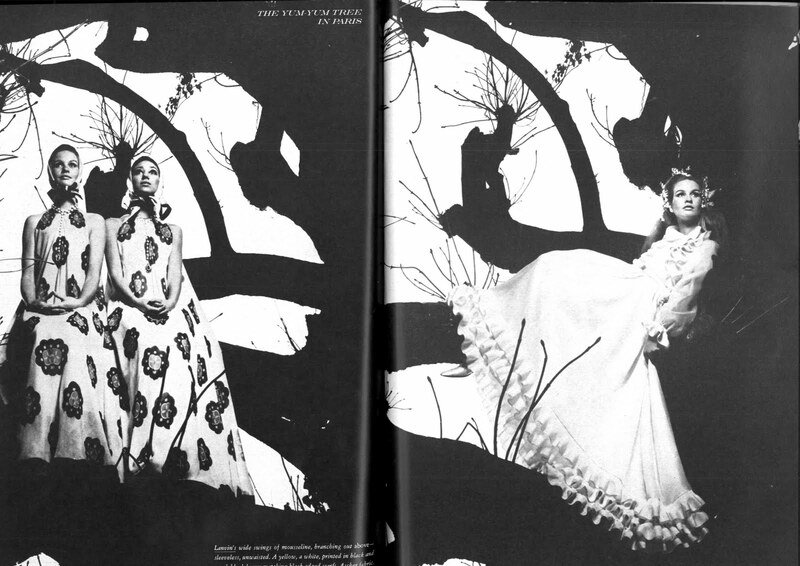 (“Fashion: THE YUM-YUM TREE IN PARIS.” 1966. and Delvin 1966). 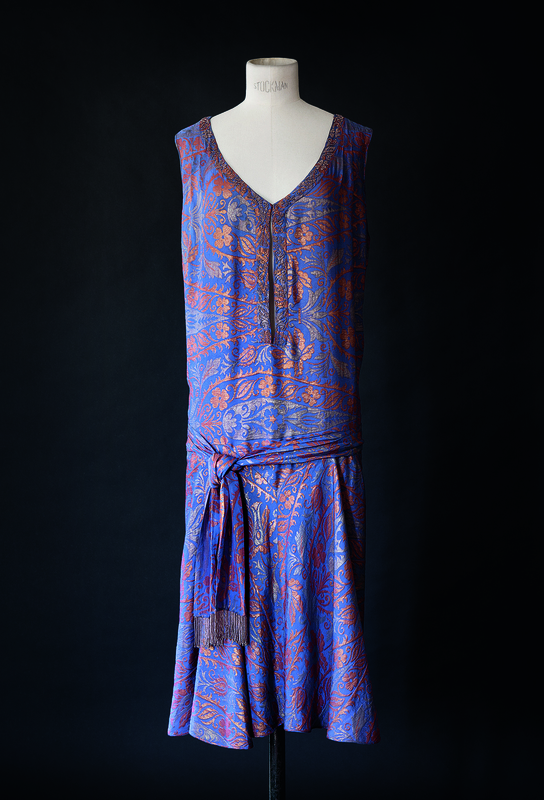 These dresses were in stark contrast to the mini-skirts and micro-mini’s popular at the time. Lanvin and Ricci designed long dresses from Vogue, March 1966. One of the first time the word ‘maxi’ appeared in American newspapers was a July 1966 syndicated report from Paris focused on Jacques Syma‘s collection that included the micro-mini skirt and its counterpart the maxi skirt. It appeared in newspapers across the United States (De la Fontaine 1966), helping to spread the style(s) further. Laura Ulmer, Syma’s counter-part was a model, singer, and Ye–Ye Girl (Young, camp-y, French Pop icons of the 1960s) (Deluxe 2013). The New York Times later explained that the maxi began “gaining ground” alongside the mini on the streets of New York and Paris beginning in 1966 (Emerson 1968, E4). It became a part of the 1960s Youthquake and had been established in the mainstream by the 1970s. Some might argue that it’s trajectory and popularity coincided with the feminist movement of the era. It would make sense then, to see it re-emerge (and have staying power) in the current cultural climate. Halsey, William Darrach and Emanuel Friedman. 1986. Collier’s Encyclopedia, with Bibliography and Index, Volume 9. Macmillan Educational Company. Accessed April 1, 2019. https://books.google.com/books?id=KMUJAAAAIAAJ&q=Dr.+zhivago+maxi+dress&dq=Dr.+zhivago+maxi+dress&hl=en&sa=X&ved=0ahUKEwiA9pGj9a_hAhUTO30KHX_tDlcQ6AEIPjAE. “Fashion: THE YUM-YUM TREE IN PARIS.” 1966. Vogue, Mar 15, 78-78, 79, 80, 81. http://ezproxy.montclair.edu:2048/login?url=https://search-proquest-com.ezproxy.montclair.edu/docview/897870673?accountid=12536. Devlin, Polly. 1966. “Fashion & Features: INSTANT BARBRA.” Vogue, Mar 15, 68-68, 69, 70, 71, 72, 73, 74, 75, 76, 77, 152, 154. http://ezproxy.montclair.edu:2048/login?url=https://search-proquest-com.ezproxy.montclair.edu/docview/897870648?accountid=12536. Emerson, Gloria. 1968. “Fashion: Alas! The Poor Mini.” New York Times (1923-Current File), Feb 04, 1. http://ezproxy.montclair.edu:2048/login?url=https://search-proquest-com.ezproxy.montclair.edu/docview/118326156?accountid=12536. Deluxe, Jean-Emmanuel. 2013. Yé-yé! : the girls of ’60s & ’70s French pop music. Los Angeles, California: Feral House. As a part of my need to play catch up (I took on too many projects recently), I’m starting a summer series to share the giant stack of new books that have come through my front door. And you’ll be happy to know that I’m focusing on the good ones! I (and a few contributors), will be covering everything from the fashion illustration history, some major new works cover 20th century fashion history, new works on the field of dress, Hair (and more as the books roll in!) Stay tuned ! Highly illustrated and beautifully designed, the book appears to be a happy marriage of style and substance, full of interesting looking, well-documented essays (yeah for footnotes in a legible size!). 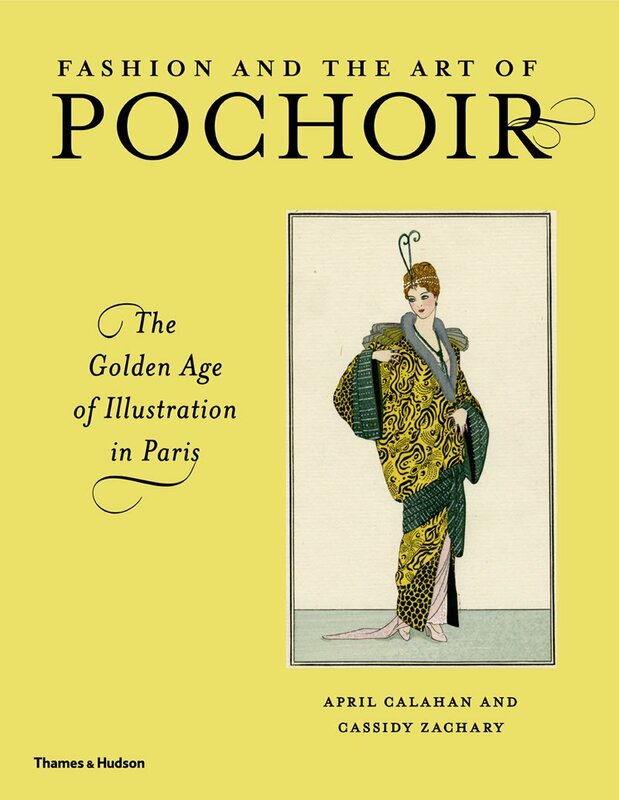 The book covers 1908-1925, and focuses on the “centuries-old hand-stenciling technique known as pochoir,” though it does include a good many photographs for garment comparison. I love this time period, and love that this book is an easy reference to the well-loved and such famous illustrations and artists. I can’t wait to dig in ! Heather (Vaughan) Lee is an author and historian, whose work focuses on the study of dress in the late 19th through the 20th century. Covering a range of topics and perspectives in dress history, she is primarily known for her research on designer Natacha Rambova, American fashion history, and the history of knitting in America. 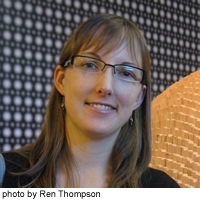 More on Heather’s career can be found here. Founded in 2011, Fashion Historia explores the history of fashion (and related events and exhibitions) with a focus on California and the West Coast. It includes book reviews, historical research, theoretical discussion and invites feedback from other scholars in the field. Contact Me Here. 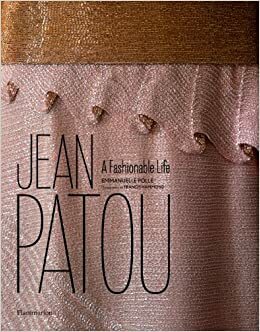 Released just a few weeks ago, Jean Patou: A Fashionable Life by Emmanuelle Polle highlights the extensive private archives of the Patou heirs for the first time. 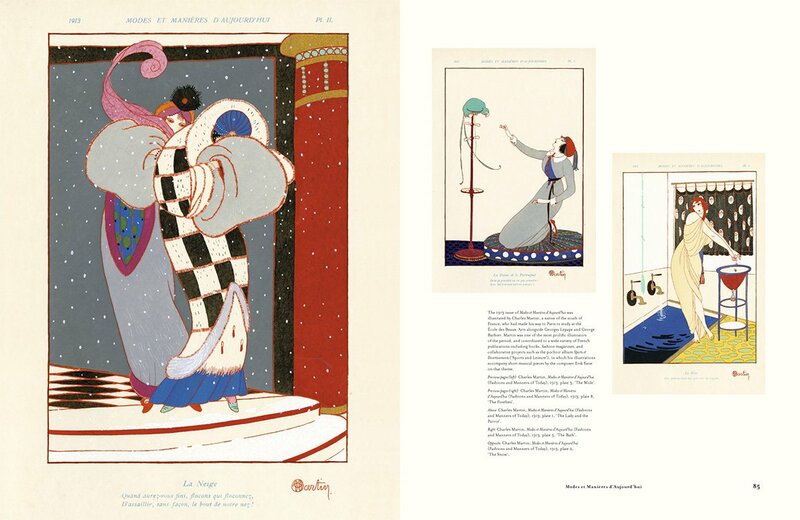 This oversize monograph from Flammarion that Polle spent two years researching, features 250 color and black-and-white illustrations, including the much of the early days of fashion photography (such as those by Baron de Meyer). The book is divided into three sections: a biography of Jean Patou, his work in Paris, and his work in the United States. 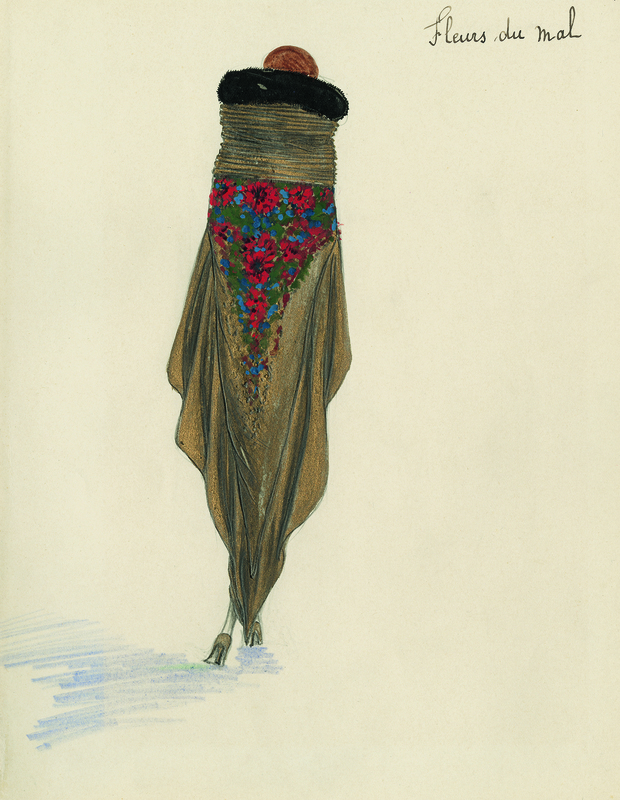 Pages are covered from edge to edge with fashion sketches, photographs of garments (sportswear, swimwear, day-wear, etc, gowns), fashion photographs (including both street fashion and studio photographs), focused on the 1920s and 1930s – the height of his powers. It also includes information related to his famous perfumes-Joy and Que Sais-Je. 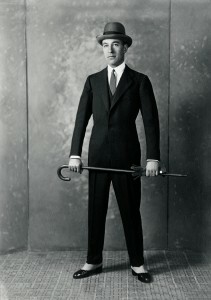 In New York in 1924, Jean Patou poses in one of the eighty-odd suits he claimed to own. 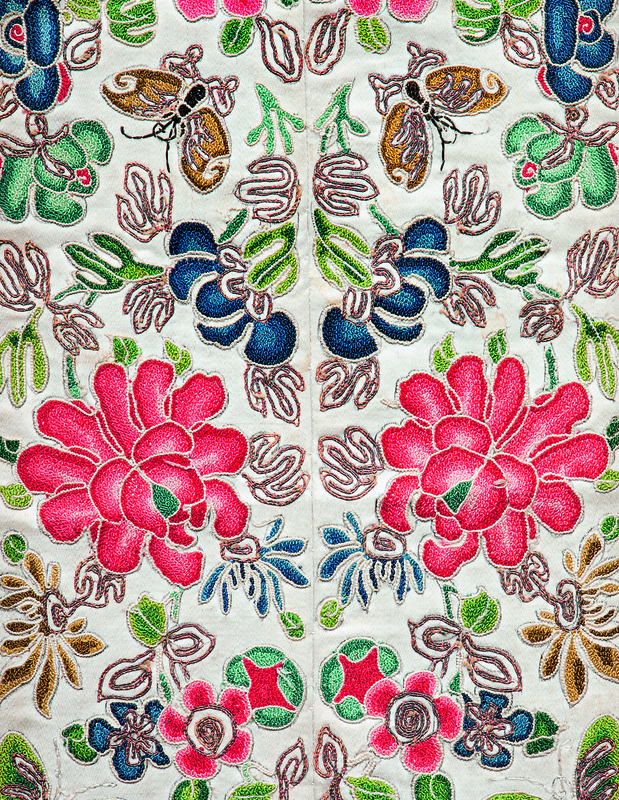 Though his career lasted a short fifteen years, his use of embroideries, jersey, and interest in day pajamas, and sportswear made him a rival of Chanel. The book also includes discussion and visual representation of the inspiration he gained during World War I-even including some garments he collected and kept as inspirational pieces. The book discusses his clientele, his friends, his lovers and gives an in-depth look at the man and his design work (much of which researched from private letters, diaries, and other previously unpublished material). This book is a welcome addition to fashion history literature – as it is the first book to focus solely on the short but substantial career of Jean Patou since the 1980s. Jean Patou: A Fashionable Life is one of those rare gems that will be of interest to both established fashion historians, archivists, libraries, museums and fashion enthusiast alike. Especially those interested in Paris, and the Art Deco period. For a ‘sneak peak’ of the interior, check out the small gallery below. © Francis Hammond, “Florentin” evening dress in Persian blue, coral, and worn-gold silk lamé, with cashmere palm frond and floral motifs, 1926 (ensemble). 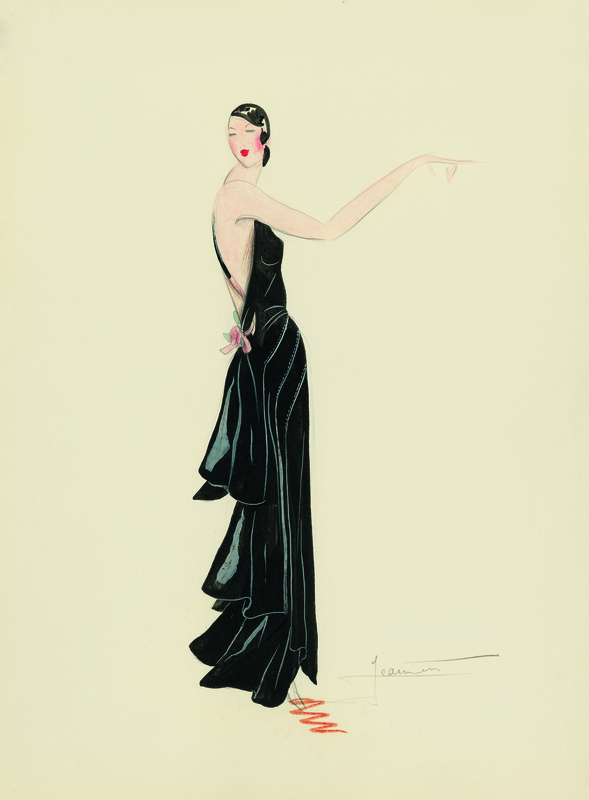 Jean Patou Archives, Fashion drawing by Madeleine Jeannest, 1932. 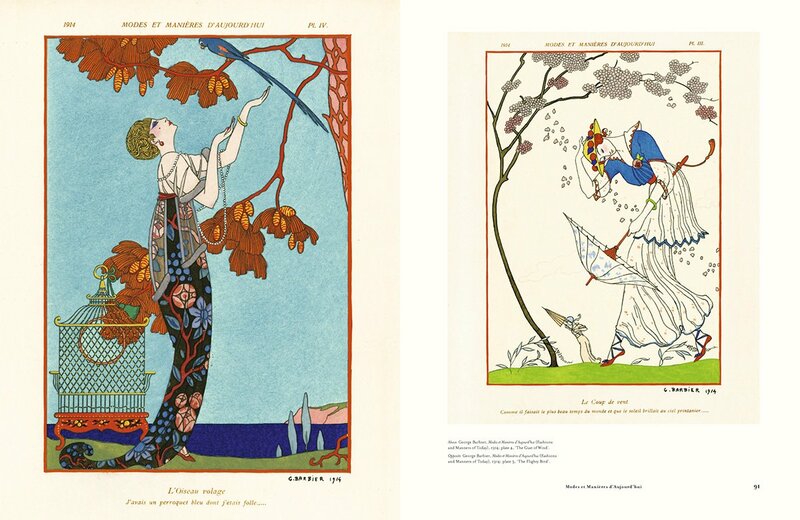 © Francis Hammond, Jean Patou’s designs owe much to his large collection of textiles from all over the world. © Francis Hammond, The Jean Patou label bore a reproduction of the couturier’s signature. Jean Patou Archives, “Fleurs du mal” coat in caramel silk velvet, back embroidered with flowers, 1921. 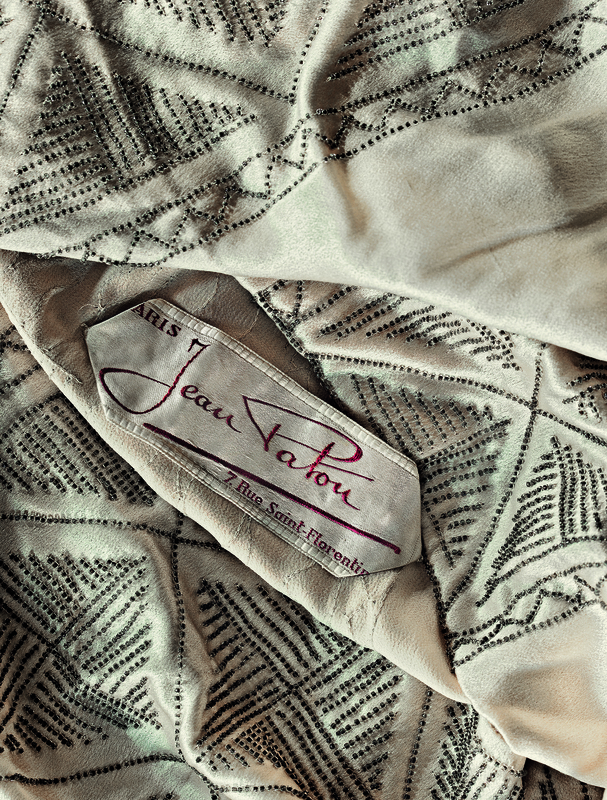 It wasn’t unusual for the names of Jean Patou’s designs to carry literary references. This one reflects the couturier’s taste for the poetry of Baudelaire. 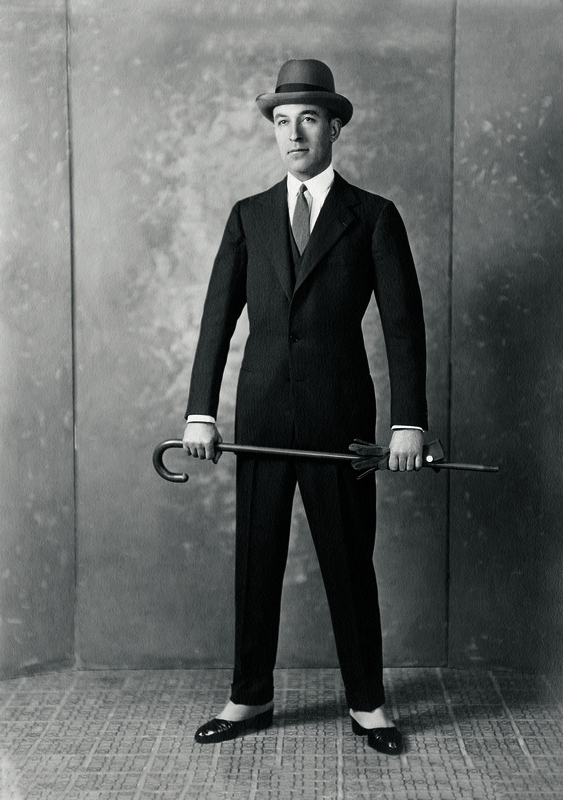 In New York in 1924, Jean Patou poses in one of the eight-odd suits he claimed to own. 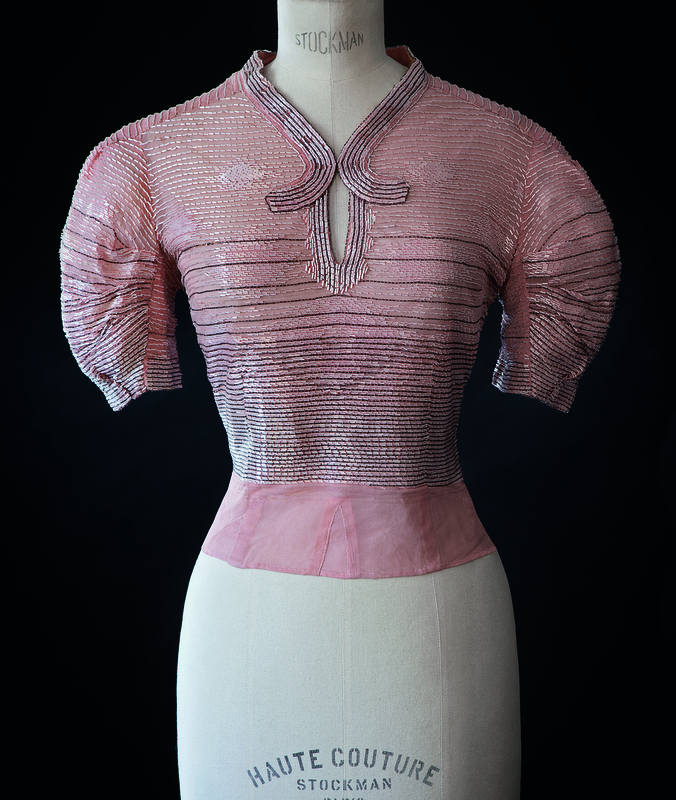 * © Francis Hammond, “Declaration” evening top in pale pink silk tulle over matching silk chiffon, embroidered all over with white and silver satin tubes in a geometric diamond motif, Winter 1935. This garment, which belonged to the Princesse Nilfur, was worn under a tuxedo suit with a long skirt and jacket in black satin, lined in the same pink color as the top.